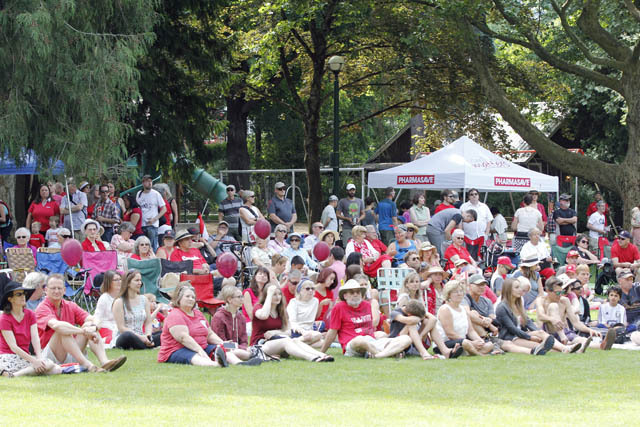 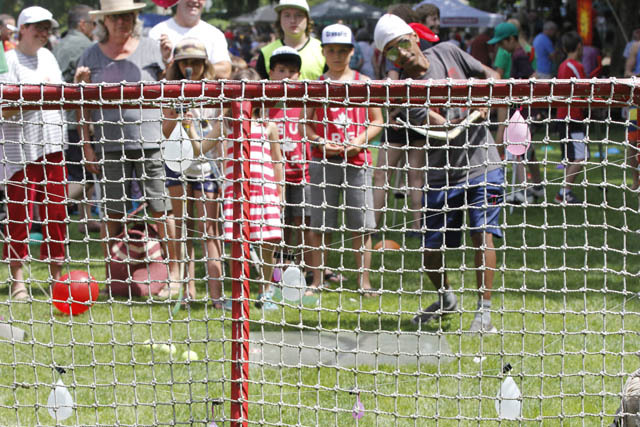 From Balfour, to Salmo to Lakeside Park in Nelson, Canadians across this great country turned out in huge numbers to celebrate Canada’s 150th birthday Saturday. 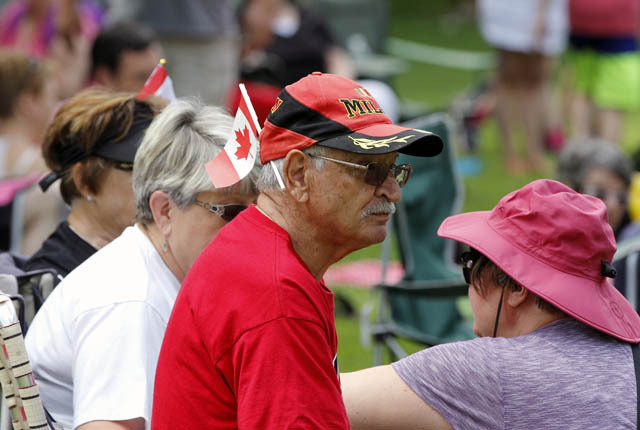 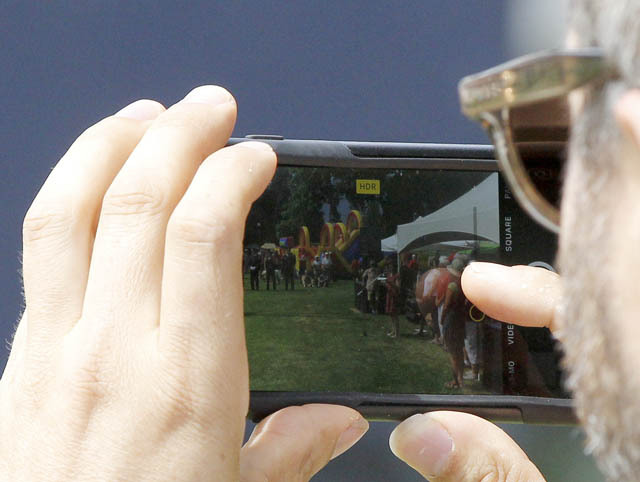 At Rotary Lakeside Park, dignitaries helped kicked off the festivities that provided entertainment from youngsters to seniors. 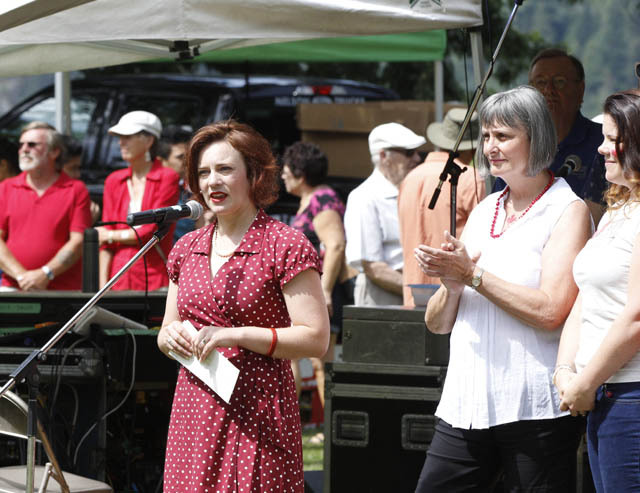 Tara Finley of Nelson Chamber of Commerce kicked off the opening ceremonies at Rotary Lakeside Park before turning the microphone over to Nelson Mayor Deb Kozak and Nelson-Creston NDP MLA Michelle Mungall to say a few words saluting our great country. 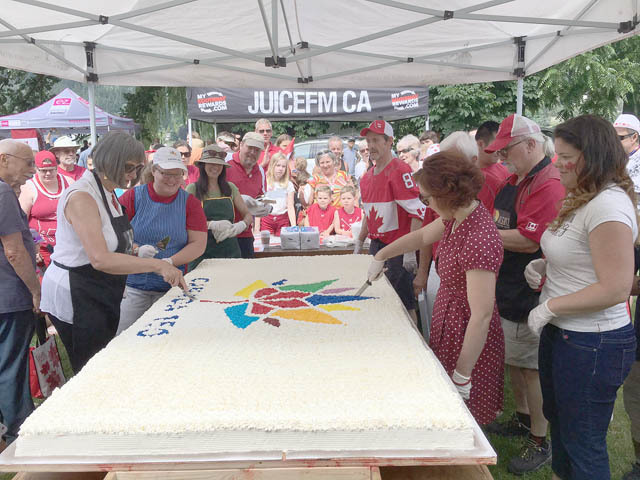 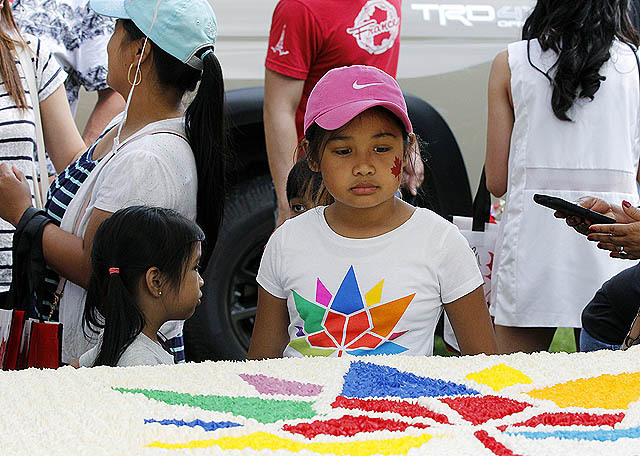 After the Heritage Harmony Singers led the crowd in O’Canada, it was off to the table next to the stage for a piece of decorated Canada Day birthday cake. 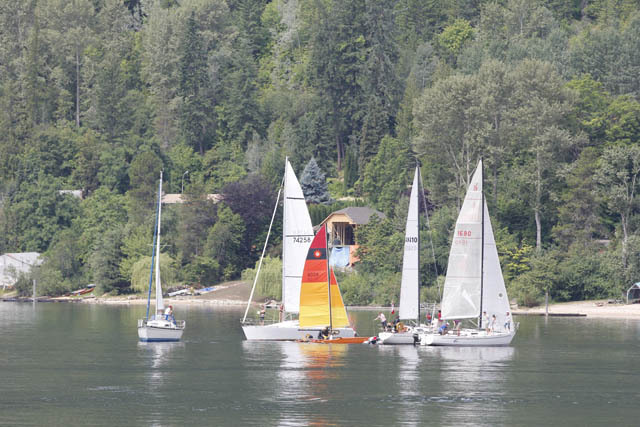 People of all ages and nationalities enjoyed festivities ranging from sailing in the sun with the Kootenay Lake Sailing Association, to savoring cool watermelon and salty French fries in the shade. 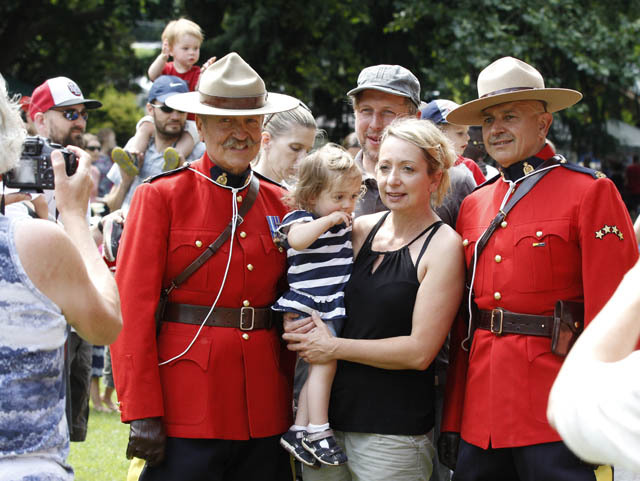 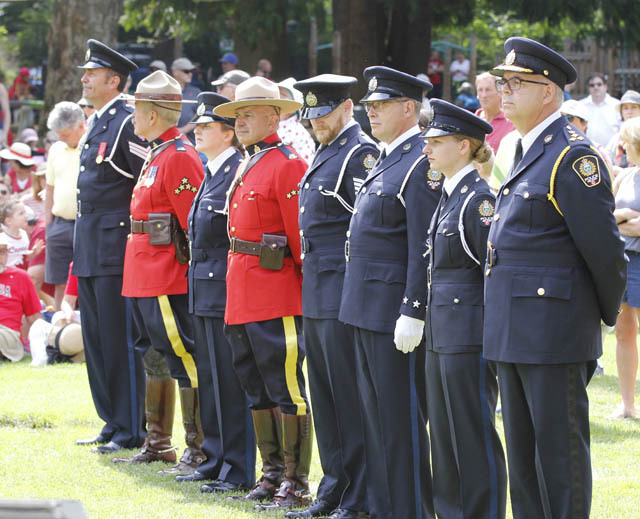 Also present during the ceremony were members of the Nelson Police Department as well as RCMP members posing for photos with the public. 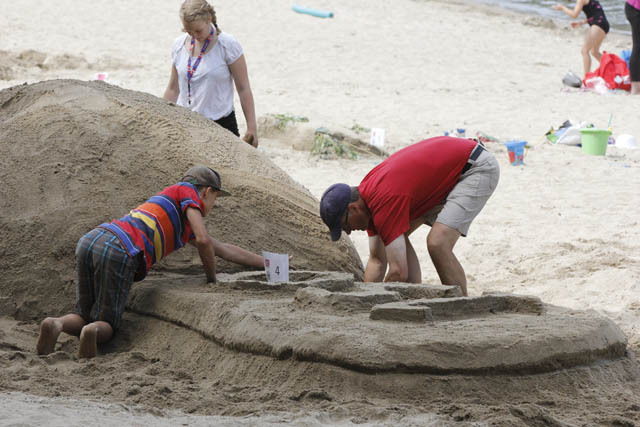 There were plenty of activities for the everyone in the family from the inflatable castle to balloons, sand castles on the beach. 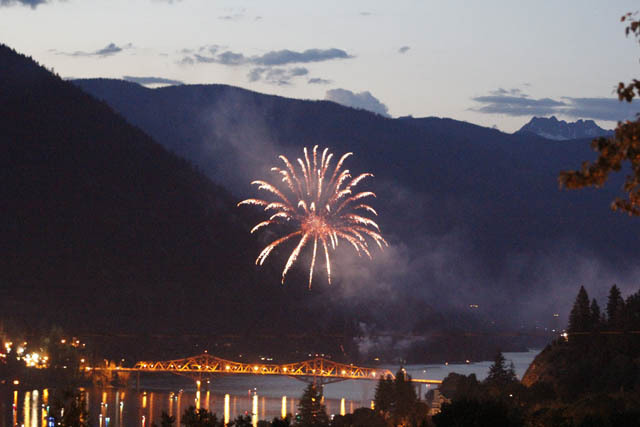 Fireworks staged by Nelson Professional Fire Fighters Association concluded the day of celebrations with an amazing display over Kootenay Lake. 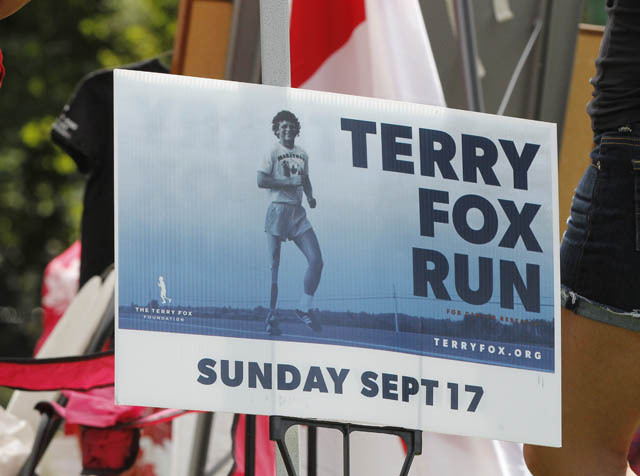 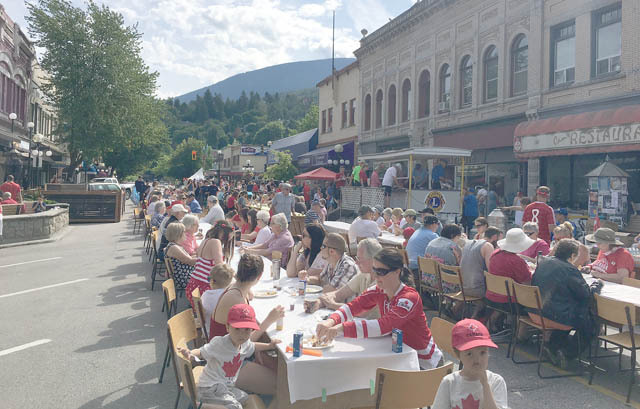 Abundant smiling faces on face everywhere were sure-fire signs that the West Kootenay is a great place to be a Canadian.